Investors are betting against Tesla’s bonds amid growing worries about the electric car maker’s ability to deliver on its production goals, given significant delays for the Model 3. Last week, Tesla shares also tumbled into a bear market, or more than 20 percent below their record high hit in September. 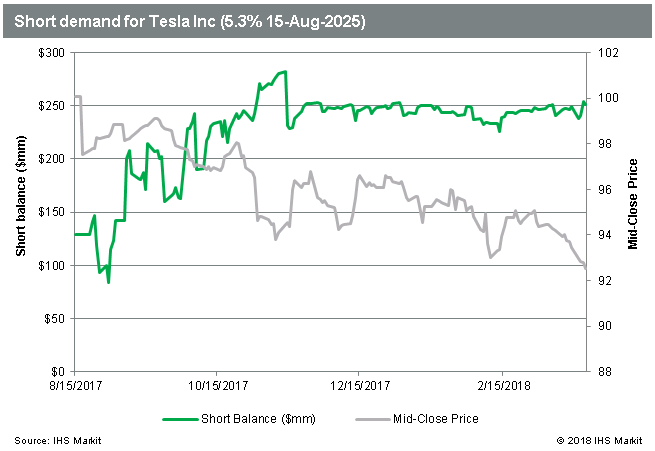 Ninety-nine percent of lendable supply for shorting Tesla’s high-yield bond has been used, sending the cost for new short positions in the bond to their highest ever, Pierson said. Bets against that bond account for the bulk of the total short demand of $261 million for Tesla debt, according to IHS Markit. The eight-year bond, which matures in 2025, was trading with a yield of 6.58 percent Monday, according to IHS Markit. Traders bet against a stock by borrowing and then selling shares in expectations they can buy them back cheaper later, or cover their shorts. It works the same for bonds basically. To fund accelerated production for its Model 3 sedan, Tesla raised a more-than-expected $1.8 billion in its first high-yield junk bond offering in August, despite poor appetite at the time for risky assets. However, the eight-year bonds fell in the last week to 92.5 cents, their lowest since the issuance, according to IHS Markit. 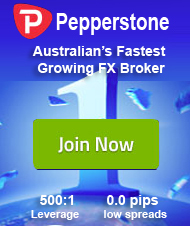 Prices move inversely to yields. The electric car company led by Elon Musk has burned through billions of dollars while it struggles to deliver on many promises. Tesla initially set a 5,000-a-week production target for the Model 3 by the end of 2017, but has since pushed that goal out by half a year. S&P has a negative B rating on Tesla and a negative outlook, as of April 2017. Representatives from the ratings agency and Tesla were not immediately available for comment. Short interest in Tesla shares has also increased to 17.9 percent, Pierson said. The total dollar amount of nearly $8.7 billion is second only to the $9.7 billion short balance in shares of Apple, the largest U.S. stock, according to exchange data as of the end of February cited by Pierson. Tesla shares closed 0.88 percent higher Monday, still down 2.3 percent for the year so far.